A chimney is made up of many different parts. Some may think that the most important parts are on the inside of the chimney. However, every part on a chimney plays a very important role in making the chimney work. The outside of a chimney is there for support and protection from the elements. If the masonry wasn’t there, and there was just a clay or metal liner coming out of the house, then the chimney would obviously not function very well. Below is a description of some of the parts on the outside of a chimney and what they do to keep the chimney working. 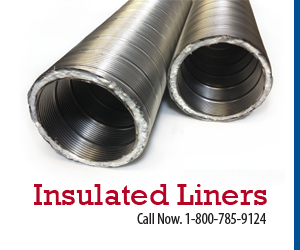 Chimney flashing is the metal material that rises up your chimney a few inches from the roofline. The flashing is responsible for preventing water from leaking into your roof from the gap that is left between the chimney and roof. There should be a good, thick line of caulk around all of the edges of the flashing. Without the caulk, the chimney flashing would be pointless because water would still be able to get into the roof. 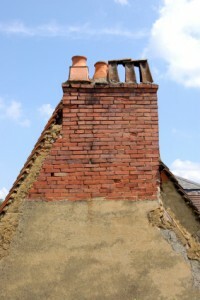 Over time, the chimney flashing will probably show signs of needing repair. It should be inspected yearly to ensure that all of the caulk is still in place and not cracked or split. If the chimney foundation has started to weaken, then the chimney will begin to shift ever so slightly. This can cause the chimney to pull away from the flashing and the caulk to separate from the brick and open a gap through which water will certainly find its way. If the chimney has pulled away from the house this much, then it should obviously be repaired or at least inspected to ensure that it is still in working order. Once the seal on chimney flashing has been compromised, it is hard to get the proper seal back and the flashing should be replaced. It will be cheaper to replace the chimney flashing now than to deal with moisture and mold issues later. No matter what the reasoning is for replacing the chimney flashing, is should be done correctly in order to ensure that moisture will not leak into you home. Installing chimney flashing is better left to the professionals, for you wouldn’t want to take any chances on not installing it correctly. Moving down from the roofline, your chimney will be butted up against the side of your house. This joint should also be well taken care of and inspected often. If the waterproofing at these joints has failed, then water damage is sure to occur. Further down the chimney is the foundation. The foundation is supporting a lot of weight. Imagine how heavy one brick is and then multiply it by how many bricks you think make up your chimney. That is a lot of weight. Because of the extreme weight that the chimney foundation holds, the foundation itself must be at least 12” thick and extend out about 15” from each side of the chimney. Check the foundation regularly for any signs of cracking. A cracking foundation could mean that the soil underneath the chimney is not stable enough to hold the immense weight. Things can be done to strengthen the soil; however, with the foundation already in place, it is too late to do anything about it without tearing down the chimney. Up at the top of the chimney is the chimney crown. The crown, which is usually made of cement, caps off the chimney and protects it from rainwater and other debris that could get into it. Each side of the crown is angled away from the center so that water will run off of it instead of into it. Be sure to check the crown regularly for cracks. 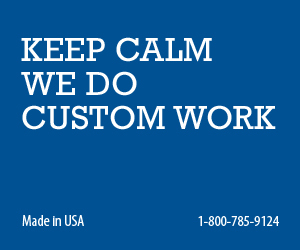 If any are found, hire a professional to make the necessary repairs. The chimney cap also plays an important role in the correct functioning of a chimney. This part works for the chimney liner like the crown works for the chimney as a whole. Without a proper chimney cap, rainwater, debris and animals could get into the chimney liner and cause all sorts of issues. Some caps even help with the chimney draft, which is what makes a chimney work. The proper chimney cap will also have a wire netting that wraps around the outside and serves as a barrier for birds and other animals that may like to make a home in the chimney flue. 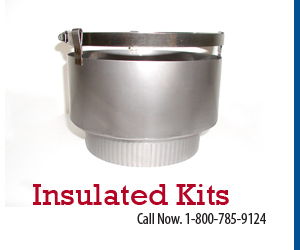 All of these parts play an important role in the functioning of a chimney. Without them, there would just be a helpless liner extended from the house with no protection and, more than likely, no purpose.